Dreams in the Lich House: Game Master or Player? You read gaming blogs, so here's a simple question: Are you a game master or player? I've added a new poll to the right. I was talking to my players about a recent topic out here, 'The importance of game mechanics', and how the poll came in nearly 75% of the folks saying mechanics weren't that important for character differentiation. The poll asked if the classic D&D fighter class could properly represent a knight, samurai, musketeer, horse archer, Roman legionaire, and so on, without any mechanical differentiaton like prestige classes, special abilities, feats, and so on. I'm wondering how much the results represent a gap between how players and DM's view the question, or new school vs old school players. Full disclosure: I'm a DM, I run a lot of old school D&D, and I'm comfortable representing those fighting man archetypes in the game without any specialized game mechanics. But since 2E AD&D, a sizable portion of the published works is dedicated to providing those little mechanical bits to support players that want that kind of stuff. If you only sell to DMs you are only selling to 1/3 or less of the gaming audience (at best) you gotta get something out there for the rest of the group or there isn't all that much money to make. That seems to be an orthogonal issue. Why do we care, as gamers, what is most profitable? That only matters if we are trying to sell something. We as gamers probably shouldn't care in the slightest but the drive for profit does in fact shape the hobby. I've had the player turn up at my table with the compleatvbooks of terrible thugs and just crazy about playing a zealot of yaddayadda and the drive to prodduce profit for the publisher inflicts trouble at the tabletop. 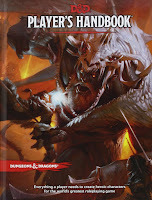 Does the DM cave and let the PC in drawn from the new 14.95 splatbook the exciting and engaged player bought ? Should DMs honor player investment of dollars as much as we do time? You know, my heart says it doesn't matter. But my head says it does. As much as I love old B/X style D&D, I find myself adding these little fiddly bits to the system to create something mechanically tangible for my players to latch onto in terms of their character concept. I've always loved how 3.X could define a character through mechanics (and before you ask, I've been playing since the Rules Cyclopedia/BECMI was a current iteration of the rules (20 years ago). However, what I don't like is when people focus on character "builds." Wherever possible, I alter the rules so this doesn't happen as often. I want the players to choose the option that's right for their character, not what makes them more efficient. I'll write around any inefficiencies I see. But I would say it does matter, overall, to create something tangible, in-game, that differentiates how one 3rd-level fighter behaves when compared to another. Even if it's only a +1 to something. I'm interested in seeing the results of this. Over my gaming career, I've been mostly a GM and think of myself as such--though in these days of G+, I play more in a give month than I GM. Still, in either role I'm not a big fan of a lot of crunch. I'll be curious as to what you discover as well. My guess is, the differentiation isn't so much DM vs. Player , but rather and Old-School vs. Today. I believe the changes in the rules mirror changes in our culture (at least in the U.S.)... there was greater optimism when I was a kid, and a greater feeling of "free to be..." Today seems to value regimentation much more, and rather than say, "Here's what I want to do," people today are more likely to ask, "What am I allowed to do?" This is reflected in the rulesets; if it's not there, you can't do it! Currently I'm playing in one game and DMing another. But in the past I DM'd way more often than I played. Still on either side of the table, I've always preferred rules-lite play. In my group there are two of us who run games but we alternate, so I'm a player at the moment. I probably take the GM's seat more often than my friend though, so I've voted that way. 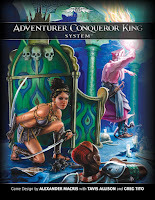 I much prefer rules-light games when I'm GM; I can play Pathfinder, for example, but I found it a nightmare to run. 1) As mostly a player I feel I can get a lot of thematic milage out of the base classes, and just multi- or dual- class them to portray what I want. The fighter is any kind of combat specialist, the thief is any sneaky or skillful sort, etc. But sometimes specific mechanics of those options just don't capture the way I think a character should work. For me this actually isn't an issue with Fighters so much as magic users of different stripes which just don't give the feel of a magician (even a weak one) the way I'd like. 2) As a player I like the idea of being able to customize. Although the obsession I seem to notice in forums with optimization kind of puts me off. * Play it as it lies - For the sake of simplicity, or other personal preferences, the DM only allowed the rules as written, no exceptions. * Custom character? Sure! (maniacal gleam) - The DM is willing to let you try something a little different, but comes up with some convoluted system, not exactly meshing with the character theme you had in mind. In either case further requests could be viewed as whining ("I already said no!" or "But I just gave you something."). Bad DMing? Maybe or maybe not. But if the rest of the adventure is fine, are you going to quit over this issue? Having options written in the book gives me as a player the feeling that, barring a few house rule exceptions, I'm probably going to be allowed to do these things. Feels like a little more power is in my hands before I even come to the table. Of course a player can negotiate with the DM over different non-RAW options for their character. In OSR circles I hear about the wonders of this technique all the time (from DMs?). But you really never know how this is going to work. That's true, but I think the same pitfalls lie in builds based on more complicated option systems. I guess it depends on how much value you place in game designers creating something as opposed to players (the referee is a player too) creating something. I think many people in OSR land decry overly option based character creation, but then turn around and do the same thing. We just call it "creating a new class" (no reason to restrict this activity to whoever is refereeing, either). For the last few years I've just been DMing, though I hated dealing with feats and skills from the other side of the table too. You need an option for both. Like Trey, historically I have been referee more often than player (though not by that much; probably 60/40), and with the advent of G+ gaming it's now about even. Interesting stuff so far - the poll is heavily skewed towards fellow DM's out here reading the blogs. To Brendan's point, I always think it's important to make people pick one or the other; even if one does a bit of both. Creating a series of minor bonuses for archetypes could be a simple way to appeal to players that want a modicum of customization - sure, horse archers and legionnaires are both fighters, but horse archers are +1 to hit with bows while riding, and legionnaires get +1 to AC anytime they're fighting next to an ally who also uses a shield. That type of thing seems 'war gamey' and fits the bill, without new classes. ACKS does something similar with its proficiency system, holding out an olive branch to the 2E and 3.X folks. Actually rather than minor bonuses I think that modification options should only really focus on the big stuff. To my thinking minor bonuses are the slippery slope toward min-maxing and feat-bloat. * Mundane healer - Don't have to invest in the entire cleric class, just get really good at patching people up and curing illness. Could be it's psionics or folk magic or Science! or something. * Beastial Ally - Not a druid, paladin or magic user? No problem. Turns out you have the vestigal connection to magic, nature or the divine necessary to get yourself some smart, friendly critter. No questions asked. 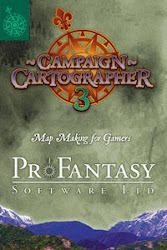 * Prestidigitator - Whether or not you learned the knack of wizarding very effectively, you did pick up the art of cantrips: practice magics. To this day you can still produce very weak, obviously magical effects at will. * Esoteric Loreist - Maybe you're a thief with a sweet tooth for magic items or a town guard who investigates magic crimes. You might not know any other magic, but you've had some training on detecting magic and figuring out how it works. You can cast Identify as a ritual, and Detect Magic a number of times per day.